Beautiful sun print tote by Alisa Burke. 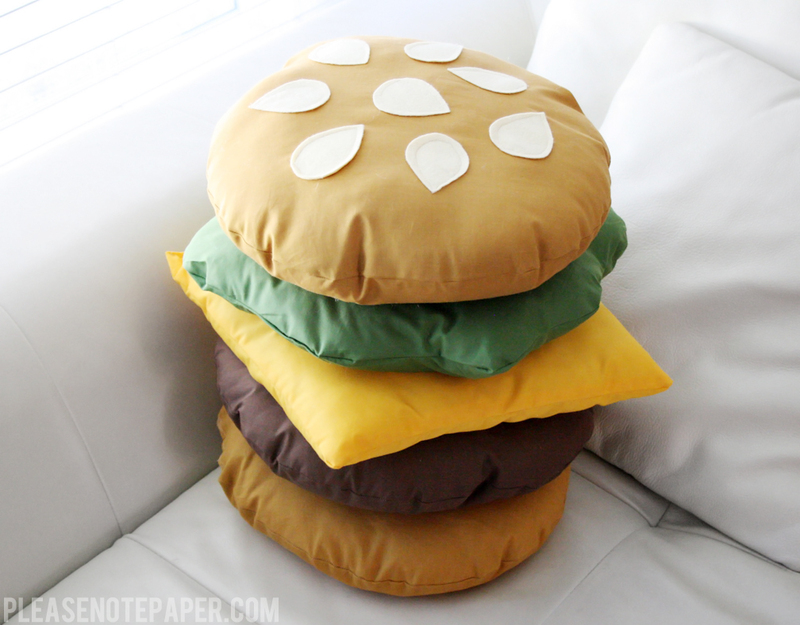 Super fun stackable burger pillow by Please Note. Amazingly simple banana frozen ice cream by Now That’s Pretty. Tiny kitty — so CUTE!!! — by While She Naps. 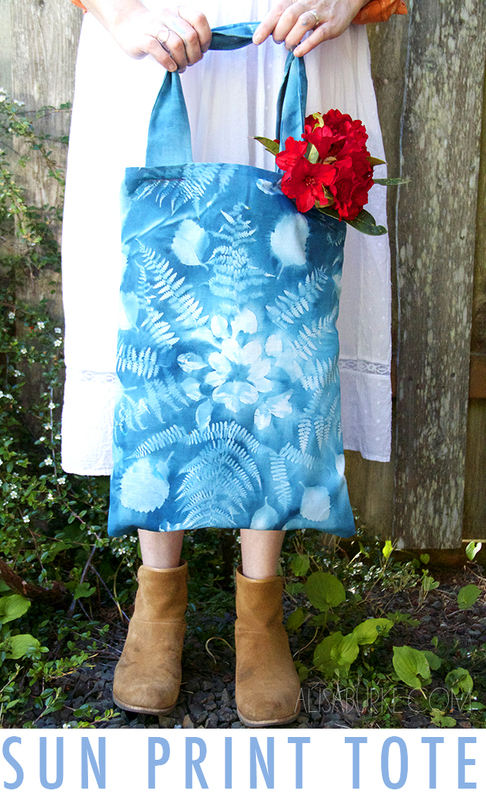 Perfect summer skirt! I love the print (apparently from Ikea!). On Make. Love the simplicity and boldness of this necklace, especially love that it’s crochet. By Chabe GS Crochet Design. I will have to make this when we have the space for it. T‐shirt rug by Crochet in Paternoster. I like this top, and it’s actually mostly knitted flat! By Lion Brand Yarn. This! Made by a rice cooker! Must try soon. Epic rice cooker pancake by Rocket News 24. A seashell headband (a crown, actually!) fit for a sea king, or queen, or mermaid. By How Did You Make That? More oceanic fun with this build‐a‐squid website (thanks Amy! ), spotted on Cute Overload. 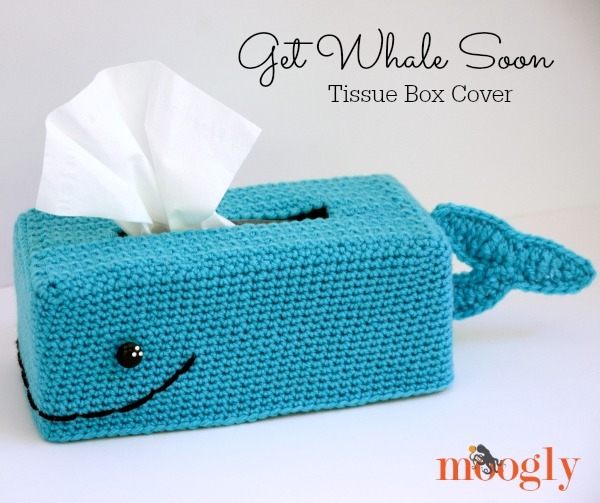 More sea creatures to crochet, with this get whale soon tissue box cover, extra awesome with its punniness. By Moogly. Definitely making the mushroom one. And maybe the hedgehog one too… And is that an owl? :D These are so much fun. 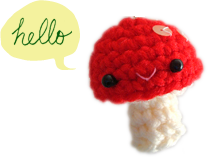 Crochet buttons by Ravelry designer Kathrin Bardeleben. woohoo! i think i need that tissue box cover too! :D happy crocheting! You found some pretty cool projects, as always, Trish! That necklace is awesome! Maybe in sock yarn and longer?? ?